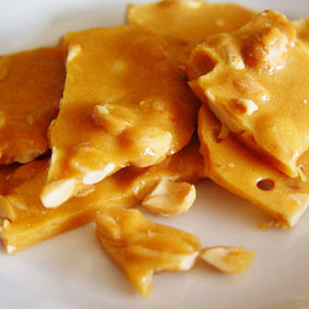 Microwave Peanut Brittle, Snacks: Southern Flavoring Company, Inc. 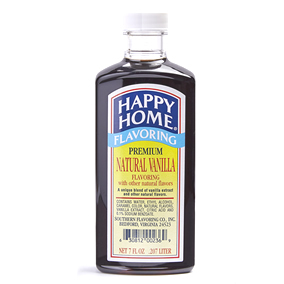 Mix peanuts, corn syrup, sugar, salt and Happy Home Imitation Vanilla Flavor in a large glass bowl. Cook in microwave on high for 5 minutes. 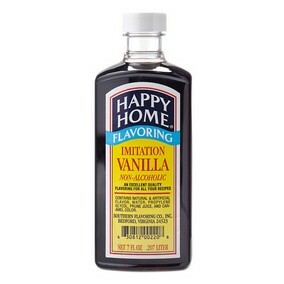 Cook for an additional 4 minutes. Cook for a final 3 ½ minutes. Add baking soda and stir until frothy. Pour on a prepared cookie sheet immediately.